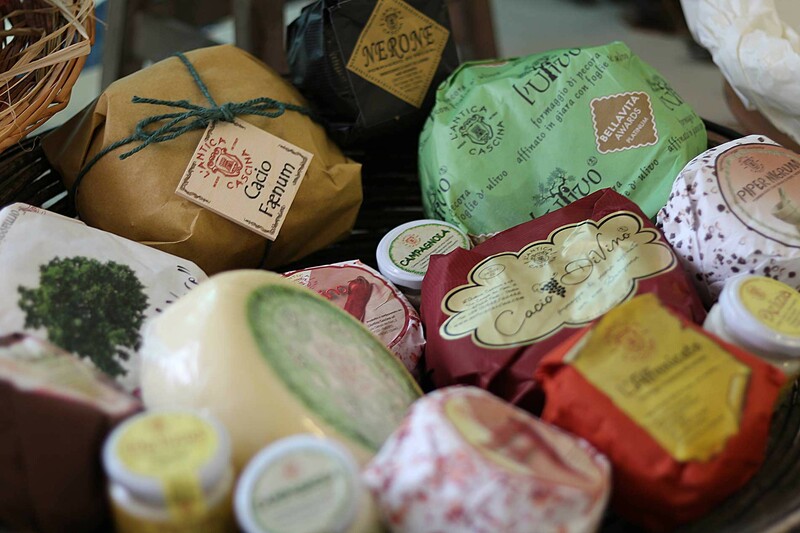 Our cheese is born of this generous, wise land of Romagna. It is a story from remote times that creates this wholesome goodness. Every day on your table. The gently rolling hills and slopes of Romagna hide special places where our cheeses are matured and affined. Centuries-old cellars and pits dug into the tuff are used to mature our treasures, made in the traditional way. "The Cellars of Villa Corte"
The cellars, built using hollow earthenware tiles and exposed stones, offer a rare architectural sight in addition to unique ambient and microclimatic conditions. It is here that L'Antica Cascina enhances the natural maturing and traditional affining of the old dairy crafts. Our partners’ tireless work, infinite passion and dedication made us what we are today: a reference point in Italy and abroad for the production of matured and affined sheep milk cheeses. Care, attention, passion and a meticulous approach. These are our values. This is our work. An exceptional cheese needs love and time. Take your time to enjoy our cheeses. Our cheeses are a work of art! Sign up for free to receive updates, news, promotions and special offers first.